Drawn to geometric architecture and the often ignored design that surrounds everyday life, OLYMPUS Ambassador Martina Govindraj aims to use her latest exhibition, Travelling Light – Wander More to explore the idea of isolation and our connection to mobile technology in densely populated urban spaces. 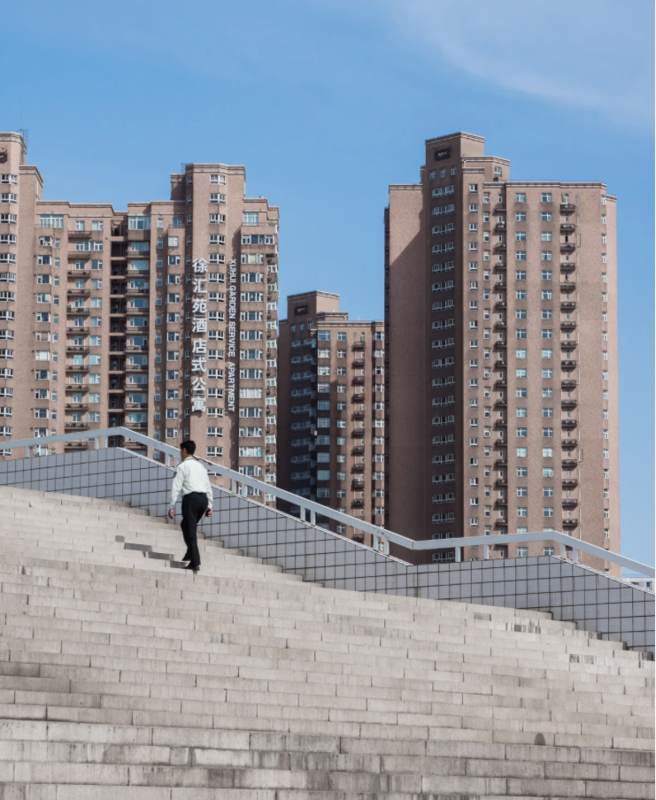 This unique exhibition consists of a selection of stunning architecturally-focused shots, all captured on the bustling streets of Shanghai. In preparation for her trip, Martina packed her E-M1 Mark II and 2 lenses. She challenged herself to travel with as little camera gear as possible with the intention of blending in and becoming invisible while shooting in one of the busiest cities in the world. Martina (also known as @YesZebra) is a self taught photographer. Photography became a major part of her life following the purchase of her first SLR camera from a second hand shop at age 16. Having invested heavily over the years in DSLR equipment but simply fed up of her cumbersome camera gear, she decided to switch to a Micro Four Thirds camera in 2015 and never looked back.